When you have an illness that’s as heavily stigmatized as migraine, the thought of opening up emotionally about it can be terrifying. Yet sometimes you have no choice. You might have to ask friends, family or co-workers to take care of responsibilities you can’t attend to. You have to share your deepest pain and fears with one health care provider after another and hope they’ll be compassionate. And when you are too sick to pretend you’re OK, you might have to show loved ones what it’s like when you feel your worst. Most people cringe at the thought of being vulnerable, but “vulnerability is our most accurate measurement of courage.” That’s according to Dr. Brené Brown, a social work professor whose research on shame led her to research vulnerability. She’s found that vulnerability is a powerful way of enabling people connect with one another and live full, wholehearted lives. Vulnerability may seem like weakness, but it’s actually requires a tremendous show of strength. Don’t believe me? Watch The Power of Vulnerability, Brown’s incredible TED Talk. The story she tells is heartening. She didn’t intend to research vulnerability and she absolutely didn’t plan to live it, but her research kept showing that vulnerability is a crucial component of living wholeheartedly. 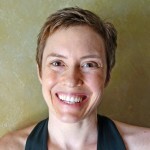 As someone whose way of dealing with vulnerability was to “knock discomfort upside the head and move it over and get all A’s,” Brown didn’t accept this research willingly, but only after what she calls a “breakdown/spiritual awakening.” In the TED Talk, she uses her own experience and her research findings to illustrate the power and strength of vulnerability. That sounds kind of dry, but it is deeply moving and encouraging. While I’d never used the word vulnerability before watching this video, I’ve been slowly incorporating it into my life as I’ve begun letting people in. I didn’t do it by choice, but because I was too sick to hide how debilitating my migraines were. In doing so, my connections to others became much stronger and richer than in the years I desperately tried to hide how sick I was. Pretending I felt better than I did put a 400 foot wall between me and anyone who tried to connect with me. I was so ashamed of being sick and thought myself such a failure that I was too scared to let anyone see the real me. How could I expect anyone to know me if I wouldn’t let them see what was happening in my life? Vulnerability is terrifying to pretty much everyone who attempts it. When you have an illness that’s often dismissed as inconsequential or made up, it’s even scarier. Yet, it’s necessary for living a wholehearted, authentic life connected to other people. That’s what Brown’s research shows and it’s what I’m learning each day.